When it comes to Outer Banks vacation rentals, the growing trend is for several families to rent a large home together, splitting the cost of the house and all staying under one roof. Some families prefer to rent neighboring homes. Availability ranges from a weekend getaway in the Outer Banks during the off season to an extended vacation, but most people come for a week or two. Price depends on size, the proximity to the water and the season. Outer Banks vacation rentals tend to mirror the area they’re in. For example, the majority of Corolla Vacation Rentals are upscale, large and on the newer side. Duck Vacation Rentals range from older homes to brand new structures, ocean to sound. Nags Head Vacation Rentals are the most varied and go from small homes that might have been around for decades to mini-mansions on the oceanfront to condos to soundside retreats. Roanoke Island Vacation Rentals are found in quaint island homes and condos in an amenities-rich community. Hatteras Vacation Rentals and Ocracoke Vacation Rentals both reflect the mix of old-time houses that have been recreated into elegant Outer Banks vacation rentals to house multiple families to brand new, amenities-rich properties to conveniently located condos. Outer Banks vacation rentals are the most popular form of accommodation here. Many of the houses have every amenity you could imagine needing or wanting – media rooms, several master suites, pools, hot tubs, gourmet kitchens, game rooms, fitness centers or home gyms, fireplaces, internet access…you name it! And with some rentals, you are granted privileges at Outer Banks golf courses or the YMCA. With most rentals houses, the package is so complete that all you need to bring are your personal belongings. 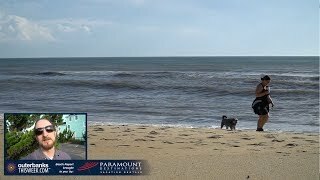 With literally thousands of homes to choose from, ranging from two-bedroom cozy cottages on the sound to average-size (and priced) houses between the highways to palatial structures with 10 or more bedrooms on the oceanfront, the only hard time you’ll have is choosing which Outer Banks vacation rental you like best. The first to offer vacation rentals on Hatteras Island, the Midgett family has generations of experience in hospitality. Midgett Realty manages nearly 500 vacation rentals interwoven throughout the seven island villages. Three full-service offices mean their staff is always close by. Rentals range from affordable, modest cottages for fishermen to luxury homes for larger families. With many options and amenities available, you’re sure to find the right home to suit all of your vacation needs.